During the initial stages of Drosophila Indirect Flight Muscle (IFM) development, myoblasts migrate from the wing imaginal disc towards a persistent set of myotubes, with which they fuse. Through detailed EM analysis, we have characterized the steps in muscle fusion, and by using mutants defective in fusion identified the crucial role of close membrane apposition at multiple spots before the formation of the fusion pores. Using a novel ex-vivo method for live imaging of IFMs, we observed a surprisingly high prominence of actin-based filopodia emanating from the myotubes. We are now in the process of characterizing these dynamic structures and investigating their specific role in fusion. Precise structural organization of striated skeletal myofibers, and of the repeating sarcomere units from which they are composed, is critical for efficient performance of muscle motor functions. 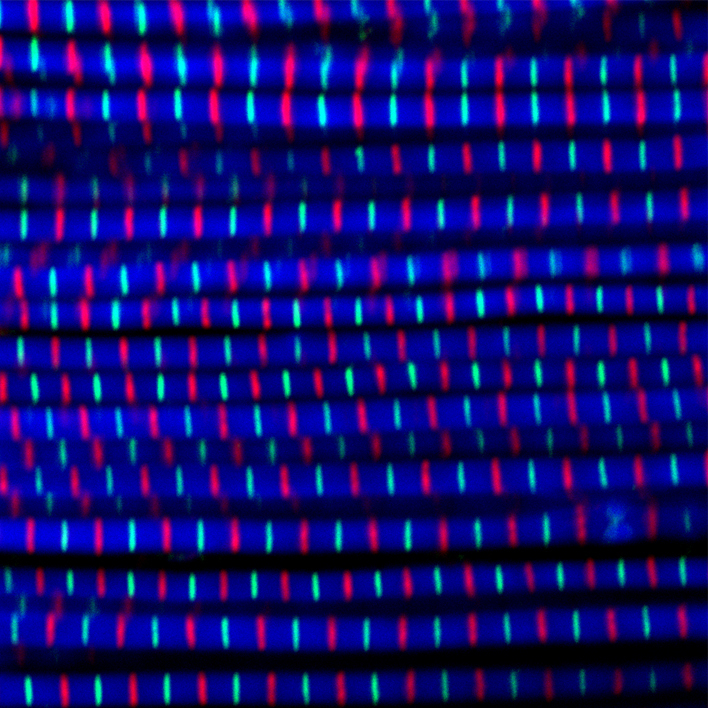 Using the sarcomeres of Drosophila pupal indirect flight muscles (IFMs) as a model system for myogenesis, and GFP-tagged G-actin incorporation as a tool to monitor the dynamic assembly of the thin-filament arrays, we have been able to uncover the sequence of events during array formation and maturation. The actin nucleators that form the thin filaments are identified and characterized. In a parallel study, we are using these tools to examine the maintenance phase of the thin-filament array in adult fly muscles.